Hiking safely abroad with the moving map software Oziexplorer-CE that installed on your Android mobile device, Windows laptop, tablet PC or smartphone. FAQ - Frequently Asked Questions | In some cases it may help. Got rar-file instead of ozf2 ? Note). Maps for such programs as SmartcomGPS, SmartcomNavigator, CarMonitor for licensed users only. -). Gps maps for programs SmartcomGPS, SmartcomNavigator, CarMonitor will work for users with licensed versions for the mentioned products. then download free tool (Ogf2converter) and convert OZF2 file into old OGF2 format. Q). 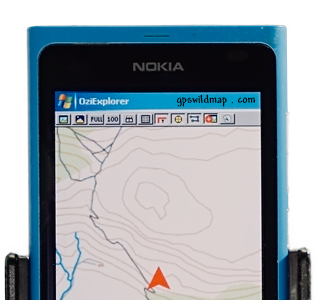 How to buy / receive gps maps? A).To go directly to the Buy map click here. 1) your email address (to receive the confirmation/access notes). 3) choose the maps you'd like to buy from the list. When the transaction is completed you'll receive by email (you inputted in the buying map form) the purchase details for your order with Order ID (Order#). An access info to our download zone will be automatically sent to you by email with second email. and include in the email body the Order ID (Order#) that you received with previous email right after a transaction is made. If you have a slow internet speed, we can split your order into segments by 2-5-10-25 MegaBytes (at your wish). After you have the access info, you can download the order at any time, the server is opened 24 hours a day. If you haven't downloaded the order within 48 hours, your download account will be suspended, and to resume it you have to contact us by email. Q). Didn't receive an email response from you. Similar). Just paid but haven't received the email with download access. A). We respond to ALL emails. Check the Spam(Bulk) folder of your email account. Make SURE your SPAM control is OFF, as most of the emails we send are automated, and can be bounced from your ISP. Also You may Include the email from our contact page in your email account's trusted contact list. *) If you haven't logged in within 3 hours, an email with a download access will be forwarded to your email address again. A). Before the download, make sure that you disable (if any) the integrated into the browser additional downloaders (such as FlashGet, GetWright, DownloadMaster etc). Below the "DOWNLOAD" button you'll see the amount of files you need to download. Press the "DOWNLOAD" button once, then wait for dialog box to begin the download process. Use the "Save" botton to save the file into the desired folder. After the download process is complited, you may press the "DOWNLOAD" button again. Q). Where should I put the map code you sent me? Notice, as for some versions of SmartComNavigator the Voice pack goes separetely, also download the "voice pack", if needed. Q). I can enter only digits in map's serial number field, but map code contents letters too. Can You give me some advise? Q). I supposed to buy ozf2-map files, but downloaded one file with the RAR extension. What should I do now? A). For convenience of downloading your order was packed into the rar-archive, depends on how big is your order the rar-archive may contain two or more files (..part1.rar,part2.rar, etc). All you need is to copy all files into the same folder on your PC and unpack the archive by double-clicking on the first rar-file. Q). When I extract the rar file, and I put the code, the result said that is the wrong password. why..? A).If you copy the code from a message, make sure that it doesn't contain the "space" character. Q). What the meaning of GS-1 or PT-1 at the end of a map name? 'GS' or 'GT' it's a single map (county/province level), a part of a particular country that devided by segments (see GS-index). *) GS-index is a list of maps of particular country. (for example: GS-1,GS-2,etc..). 'PT' - a part (single map) of a country map (usually a single standed island or destrict area that more detailed). *) it doesn't affect a map visuallisation as a moving map software opens a needed part of a map automatically.